From trailer parks to Montage Hotel: a sales idea. 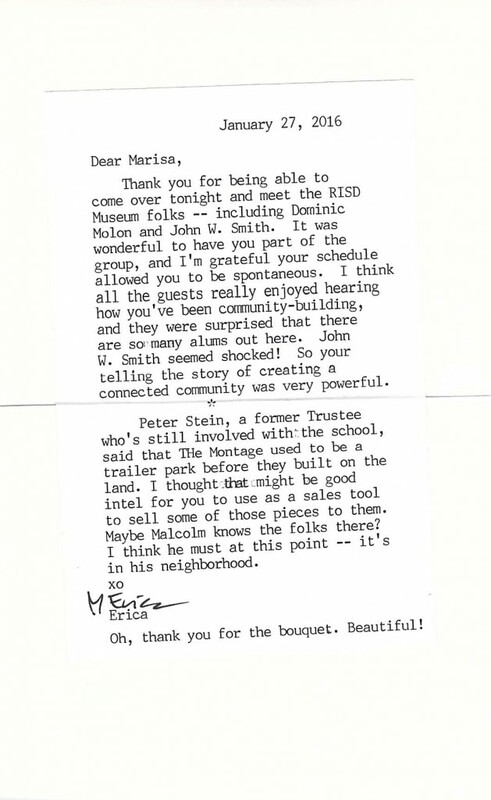 At a dinner party I had for Rhode Island School of Design folks tonight, one of my guests was MARISA MURROW. 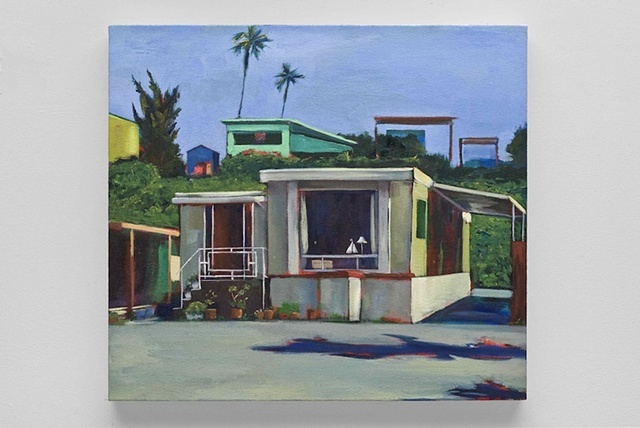 She’s a talented artist whose work features California scenery… and a few years ago, a series of trailer parks! Those pieces might be of interest to The Montage Hotel down in Laguna Beach. When Peter Stein mentioned that the hotel — one of the most magnificent on the California coast — was built, it was on land that used to be a trailer park. I thought maybe Marisa could contact someone at the hotel … who knows? It might be something they’d enjoy adding to their walls.